July 4, 2013 by Jordan D.M. 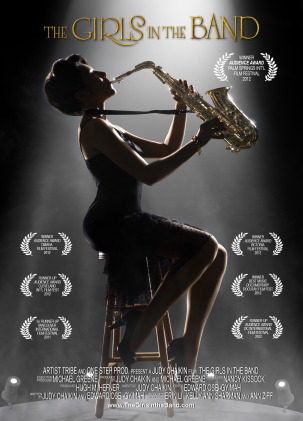 THE GIRLS IN THE BAND director Judy Chaikin will participate in Q&A’s after the 11 AM screenings at the Playhouse on Saturday and Sunday, July 27 and 28. A film recommendation from Bob Laemmle. The Attack is a fascinating drama that examines the Israeli/Palestinian situation from the vantage point of Lebanese Director Ziad Doueiri. Raising hosts of questions but resisting clear-cut answers, the filmmaker applies a deft and even-handed approach to his subject. Under Doueiri’s supervision, the acting is superb and believable to the point that it almost feels like you’re watching a documentary. The story of how The Attack was made and distributed is nearly as compelling as the movie itself. Shot on location in both Israel and the Palestinian territories, the producers had to navigate and overcome complex political, bureaucratic and security issues. What’s more, the controversial nature of the film has led to a revolving door of financial backers. While screening successfully to Arab audiences via the festival circuit, it’s unfortunate that the film will likely not be released in the Palestinian territories or most other Arab countries. However, it will play in Israel and tracking its performance there should prove interesting. 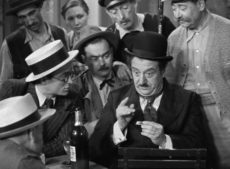 Of course, movie-goers around the world including Laemmle audiences here in L.A., should consider themselves fortunate indeed to be able to reap the benefit of Doueiri’s talent, passion, and commitment. Filmmakers like him and Tobias Lindholm (who’s equally riveting Danish thriller A Hijacking is also currently running) are just two present-moment examples of the incredible work being done by filmmakers across the globe. We are truly in a golden age of world cinema. Let’s be sure not to miss it! The Attack is currently playing at our Royal and Playhouse 7 locations. It will be opening at the Town Center 5 on July 3. Click here for more details. June 19, 2013 by Jordan D.M. On Saturday, June 22, there will be a Q&A with one of the subjects of the film, Roz Cron, at the TOWN CENTER 5. On Saturday, June 22, there will be a Q&A with Director Judy Chaikin at the PLAYHOUSE 7. On Sunday, June 23, there will be a Q&A with Director Judy Chaikin and Executive Producer Mike Greene at the MONICA 4. June 13, 2013 by Jordan D.M. THE GIRLS IN THE BAND producer Nancy Kissock will participate in a Q&A after the 11 AM screening at the Monica in Santa Monica this Saturday, June 15. Director Judy Chaikin will participate in a Q&A after the 11 AM screening at the Playhouse 7 in Pasadena on Saturday, June 15. Director Judy Chaikin and Producer Mike Greene will participate in a Q&A after the 11 AM screening at the Monica in Santa Monica on Sunday, June 16. Producer Nancy Kissock will participate in a Q&A after the 11 AM screening at the Town Center in Encino on Sunday, June 16. ORCHESTRA OF EXILES filmmaker Josh Aronson will participate in Q&A’s after the 7:20 screenings at the Music Hall 3 on Friday and Saturday, November 2nd and 3rd; plus Q&A after the 5:30 and introduction of the 7:50 screenings at the Town Center on Saturday, November 3rd. From Academy Award-nominated director Josh Aronson, ORCHESTRA OF EXILES reveals the dramatic story of Bronislaw Huberman, the celebrated Polish violinist who rescued some of the world’s greatest musicians from Nazi Germany and then created one of the world’s greatest orchestras, the Palestine Philharmonic (which would become the Israeli Philharmonic). Now playing at the Music Hall 3 and the Town Center. Plus, morning shows this weekend at the Claremont 5 and Playhouse 7. Fashion designer Ozwald Boateng, subject of A MAN’S STORY, will participate in a Q&A after the 7:10 PM screening at the NoHo 7 on Friday, November 2. Already celebrated as one of the most talented menswear designers in the world, Ozwald Boateng is about to go bankrupt and divorce his first wife. Through luck and circumstance director Varon Bonicos is able to switch on a camera. It continues to roll for the next twelve years. Now playing at the NoHo 7. BURN filmmakers Tom Putnam and Brenna Sanchez will participate in a Q&A after the 3:30 PM screening at the NoHo 7 on Saturday, November 3. From executive producer Denis Leary, BURN is a look at firefighting in Detroit with the highest arson rate in the country, and a budget crisis of epic proportions. Now playing through 11/8 at the NoHo 7. HIGH GROUND producer Don Hahn, (Frankenweenie, Beauty and the Beast, The Lion King) will participate in Q&A’s after the 7:50 screening on Saturday, November 3 and the 3:15 screening on Sunday, November 4 at the Playhouse 7. HIGH GROUND follows 11 veterans returning from Iraq and Afghanistan join an expedition to climb the 20,000 foot Himalayan giant Mount Lobuche. Now playing at the Playhouse 7.